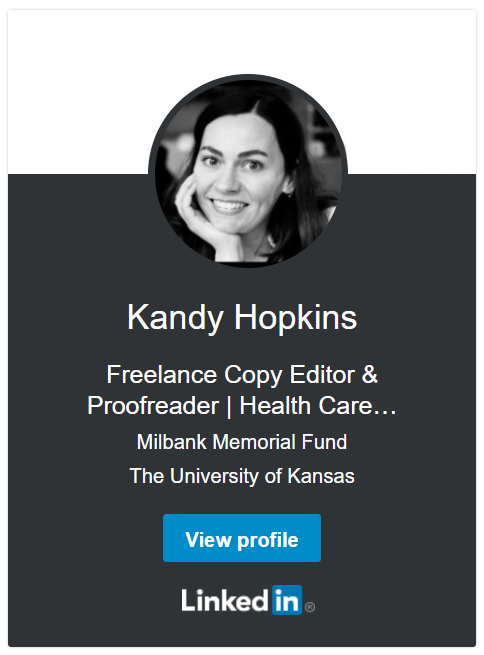 Kandy Hopkins | Copy Editor & Proofreader | Freelance copy editing consultant specializing in medical, health care, law/legal, & academic publications. | AMA, APA, AP, Bluebook, & Chicago styles. Hello there. Are you looking for a copy editor? You’ve come to the right place. In short, I work with clients but for the reader, making sure your content serves your audience.